Our beautiful surroundings and first-class facilities inspire many couples to plan their entire wedding day with us: a ceremony on the Clubhouse lawns or in the woods on course, followed by a fabulous reception feast with your nearest and dearest. We pride ourselves on pampering you and your bridal party every moment you’re with us and that includes your own private waiter during your official photos at the serene Pavilion and surrounds, nestled in the middle of the course. Our experienced Event Manager will work with you every step of the way, assisting you and helping your wedding to unfold – and then overseeing every detail on the day so you can focus on the important things.. It’s your day, so come, be spoilt, let us take care of your needs and help create your perfect day. Please note that a nominal room hire fee applies on all packages for bookings of less than 80 people. Please ask our Event Manager for further information. ‘Royal’ Package All round great value. ‘Grand Cocktail’ Package For a less formal approach but with no less attention to detail. Pricing •	Please refer to pages 4 & 5 for package prices •	Add antipasto or meze platters $10.00 per person •	Price remains the same when including your wedding cake as the dessert option. Your wedding cake will then be served with house made berry coulis and either cream or ice-cream. Most special dietary requirements catered for at no additional cost. Roaming Entrees and Desserts Want your guests to mingle longer? Then consider a roaming entree and/or dessert. Pick four items from the Grand Cocktail menu (on page 9), followed by two items from the menu below in lieu of canapes and seated entrée. Then, in lieu of a seated dessert, choose two of the following sweet selections. Or add these in to your chosen package @ $6.50per selection (1.5 pieces served per person). •	All packages served with Coopers and Sapporo tap beer and Coca-cola soft drinks •	Drinks charged on consumption option available (please see next page). Minimum spend of $2,000 required. •	Spirits may be brought in for events that incorporate a drinks package. No corkage charge will apply. •	BYO wine option @ $15 corkage per bottle. (wine only) Minimum spend total of $2,000 •	Additional wines and beers can be added in if required (additional charges apply) •	Please note that due to supply, the prices and vintages may change without notice. Terms and conditions Bookings Upon receipt of an enquiry, a tentative booking will be made on behalf of the client if requested. A tentative booking will generally be held for 14 days only. Should the client wish to proceed with the booking, they must forward a completed application form (page 15) to the Club. A confirmation of the booking, together with a deposit invoice, will then be forwarded to the client shortly thereafter. Nonreceipt of the completed application form may result in forfeiture of the booking. Deposit A deposit of $1,000 is required upon approval of your application. Non-receipt of payment of the deposit may result in forfeiture of the booking. Receipt of payment of the deposit amount will be deemed as confirmation of the booking and your agreement to the Terms and Conditions as contained herein. Please note that a 1% surcharge is applied to Visa and Mastercard payments and 1.65% surcharge applied to AMEX payments. Payment Terms All costs incurred in relation to the conduct of the event, less the deposit amount paid, will be invoiced five days prior to the function. Final payment is due prior to the date. Any additional charges will be invoiced as soon as practicable after the event and payment is required within seven days of the date of invoice. Minimum charges All requirements (catering etc) will incur a charge of not less than 75% of the number of guests stated on the Application Form, or the actual number attending on the day, whichever is greater. A room hire fee is applicable for all weddings of less than 80 people. The Event Manager will advise on applicable charges upon your enquiry. Pricing The function prices are produced for each year annually. The pricing of the function will be the applicable pricing for the year the function is held, regardless of the booking date, unless agreed prior. Prices are subject to change and are all inclusive of GST. Catering Final numbers for catering purposes must be notified to the Club at least 5 working days prior to the date of the event. This number will be the basis upon which the invoice for the event is prepared, irrespective of whether a lesser number attend on the day. Obviously if more attend, the number present will be the basis of our charges in that instance. The chef has the right to substitute, at any time without notice, any item on the menu due to seasonal, supplier or other circumstances beyond our control. Effected by client Written notice of cancellation is required. Fees incurred for cancellation is (generally) loss of the deposit amount, plus any other expenses incurred by the Club on behalf of the Client. A cancellation 7-30 days prior to the function date will attract a penalty equal to 40% of the estimated food component of your function, whilst a cancellation 0 - 6 days will attract a penalty of 60%. Effected by Club In the event of circumstances beyond the Club’s control, the Club reserves the right to cancel or, where possible, reschedule a function to a mutually agreed date. The deposit amount will be refunded in full or transferred to an alternate date in either of these cases. Change Of Date The Club reserves the right to charge a fee if dates are altered. The Event Manager will advise on any applicable charges upon your enquiry. 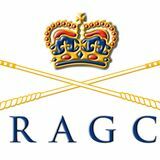 Dress Code A high standard of smart casual dress is expected at the Royal Adelaide Golf Club. Damage and conduct The Client will be responsible for expenses incurred by the Club for loss or to repair damage to the Clubhouse, or property belonging to either the Club or a third party caused by any guests at the function. The Client is also responsible for the conduct of the Client’s guests. The Club may request a security bond payable 14 days prior to the function to cover any potential damage that may occur. The cost of any damage that occurs on the premises during the event will be deducted from this bond. If no damage occurs, the bond will be offset against the event costs. Prior approval must be given for items to be thrown after the ceremony and/or the reception. Please note the Club reserves the right to charge a cleaning fee should it be required. Workplace health and safety The Club treats its Workplace Health and Safety obligations seriously and external parties, whilst on the Club’s property, need to conform with Workplace Health and Safety Legislation.